Meet my friend, Mark Jones! Mark is the Children’s Pastor at Quail Springs Baptist Church in Oklahoma City where he loves and teaches preschoolers, children, and their parents. 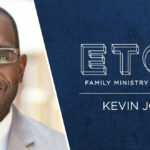 He enjoys speaking all around the nation to train children’s ministry leaders and parents. He is the founder of Mr. Mark’s Classroom, an online leadership development and teacher resource company. 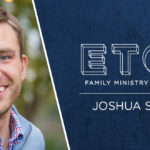 He helps overwhelmed children’s ministry leaders get clarity, confidence, and the resources they need to win at reaching kids for Jesus, equipping kids with Bible skills, and teaching kids to serve others. What kind of training does Mark offer parents and when? This conference will map out a simple plan your church can use to educate and encourage parents regularly. As a bonus, Mark will throw in some Parent/ Child events that can be a huge success in ministry. Do you wonder if your children’s ministry is really effective? Is there something you’re missing? This conference will explore how your teachers can provide for Bible literacy in fun and creative ways while intentionally providing evangelism, discipleship and serving others. Don’t miss your opportunity to hear Mark and many other great breakout presentations. 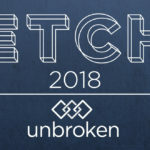 Check out ETCHConference.com and register HERE.